WHILE FRAMELESS SHOWER DOORS ARE A BIT MORE EXPENSIVE THAN FRAMED ONES, IN THE LONG RUN THEY ARE MORE COST EFFECTIVE. FIRST, THEY INCREASE THE OVERALL VALUE OF YOUR HOME. THEY ALSO LAST FOUR TIMES LONGER THAN A FRAMED DOOR AND RARELY NEED MAINTENANCE. THERE ARE MORE PARTS TO A FRAMED DOOR, AND THEREFORE MORE POINTS AT WHICH IT CAN FAIL. GOING FRAMELESS IS EASILY THE SMART CHOICE. 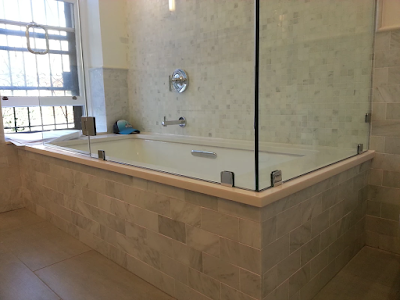 CONTACT SHOWER DOORS NYC AND SPEAK WITH ONE OF OUR SALES EXPERTS ABOUT HOW FRAMELESS CAN ENHANCE YOUR BATHROOM TODAY!